A blend of dnb and breaks make up this beautiful Ep. Another fine release in the Msx 10th Anniversary Special Edition series from Moving Shadow. 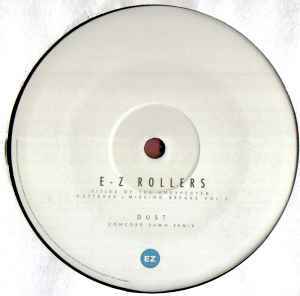 With two great down tempo tunes from the legendary Ez Rollers, and two remixes of their other releases by Concord Dawn and Fillibuster! Concord Dawn's remix of "dust" is a monster, and my reccomended track. The original was a killa, but the duo has taken this track to another level! A must for Concord Dawn fans!